Achieving certification and regulatory body approval in your industry is about more than legally bringing your product to market. It also ensures that minimum standards of quality and performance are met, which leads to better products and improved overall consumer confidence. There’s also value to investing in certification services outside of your legal obligations. For example, civilian customers are becoming more aware of what it means for a product to be certified to MIL-STD standards like MIL-STD-810. Particularly with consumer goods such as cameras, cell phones and other equipment, MIL-STD certification conveys rugged, reliable performance in any situation. In a crowded marketplace, taking the time to achieve compliance with these or other standards can help you stand out from the competition. Producing safe, reliable and durable products is of course, imperative. But global market access has become a crucial a factor in the success of products across a plethora of categories. 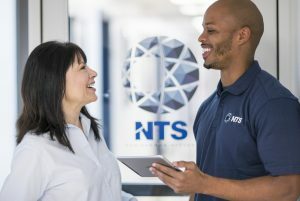 A leader in product certification for more than 50 years, NTS now operates a large network of formally accredited test laboratories. Each lab provides official certification services for a vast range of standards and requirements across a multitude of industries and product types. We can also meet numerous industry-specific requirements for products ranging from PC peripherals to hospital equipment and just about everything in between. The Defense sector remains one of our largest customer bases. Meeting the high standards to which military devices and equipment are held requires advanced testing facilities. NTS has the equipment and expertise necessary to demonstrate compliance with MIL-STD-810, MIL-SPEC-2105, FM 101-51-3 and other standards. Our National Ordnance and Ballistics Center provides live firings, climatic and dynamic testing, functional testing and compliance certification services for munitions, ordnance and hazardous materials. We are also equipped to provide personal protective equipment and vehicle armor testing, and can perform heavyweight shock and engineering for naval applications. [copy] Need hardware and software testing and compliance services? NTS operates the largest network of Verizon ITL facilities for performing NEBS testing and international certification. We also maintain the only lab authorized to provide certification to Multimedia over Coax Alliance (MoCA) 2.0 standards. 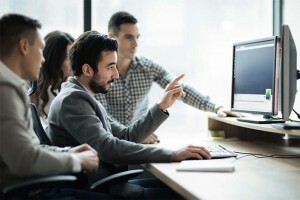 And since expanding our software testing capabilities, we can cover everything from functionality and compatibility testing to localization services and more. NQA, the management systems certification division of NTS, has been providing ISO 9001 certification across the globe for over 30 years. Auditors work in 36 locations worldwide, offering the convenience of “local” audit resources in proximity to your facilities. NQA’s approach is as straightforward as it gets: It is non-bureaucratic, thorough, performance-based and systems-focused; designed to simplify and expedite the certification process. With clients in 90 countries and more than 43,000 certificates issued, NQA is recognized as a premier global certification body. To explore the full complement of NQA services offerings, visit www.nqa.com. Whether you’re in one of the industries mentioned above, or another altogether, NTS can help. We provide compliance seminars for Aerospace, Automotive, Energy, Telecom and other partners. Our facilities are ISO/IEC 17025 accredited. This means we adhere to scalable, repeatable processes that deliver accurate results every time. To learn more about what we can do for you, request a free quote for certification services for your product today.